Grosvenor Casinos can exclusively reveal details for this year’s record breaking Goliath. This will be the 11th year running the Goliath will be taking place at the Casino Coventry in the Ricoh Arena. 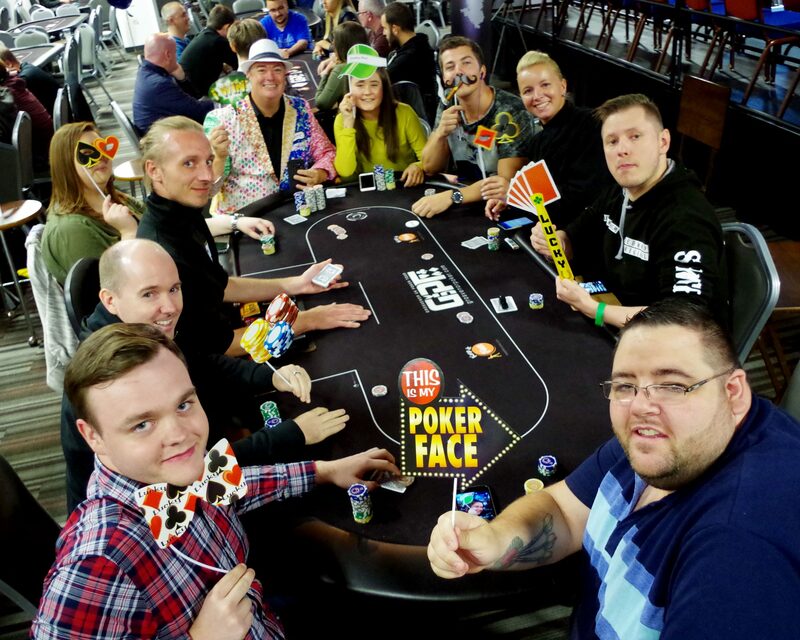 The 11-day festival takes place from 25th July to 6th August and will feature an array of events including the largest live poker tournament outside of the USA, the Goliath Main Event. This year Grosvenor Casinos will be guaranteeing the Goliath Main Event First Prize at £100,000 – a staggering prize for a £100+25 event. This year will see the extremely exciting addition to the line-up of 2 new events – the Grosvenor UK women’s poker championship (GUKWPC) and the Grosvenor UK seniors’ poker championship (GUKSPC). Breaks: First break at 9:00pm, all subsequent breaks will be every 4 levels / 100 mins, Each break lasts for 15 mins. Breaks: First break is 1:00pm, all subsequent breaks will be every 3 levels / 2 hours and last for 20 mins. Dinner break will be at the end of level 9, for group A 5:20pm and for group B at 6:20pm, both lasting an hour. Breaks: First break at 9:00pm, all subsequent breaks will be every 100 mins (4 levels). Each break lasts for 15 mins. Breaks: First break at 1:00pm, all subsequent breaks will be every 3 levels / 120 mins, Each break lasts for 20 mins. Dinner break will be end of level 9 at 5:40pm. Breaks: First break is 9:00pm, then every 140 mins, lasting 15 min each. Breaks: First break at 1:00pm, all subsequent breaks will be every 3 levels / 120 mins, Each break lasts for 15 mins. Dinner break TBC. Breaks: First break at 1:50pm, all subsequent breaks will be every 4 levels / 140 mins, Each break lasts for 15 mins. Breaks: First break is 3:00pm, all subsequent breaks will be every 4 levels / 100 mins and last for 15 mins. Breaks: First break is 4:00pm, all subsequent breaks will be every 4 levels / 100 mins and last for 15 mins.